The most comprehensive view of Olana as a 250-acre masterpiece is experienced along its his-toric carriage roads. 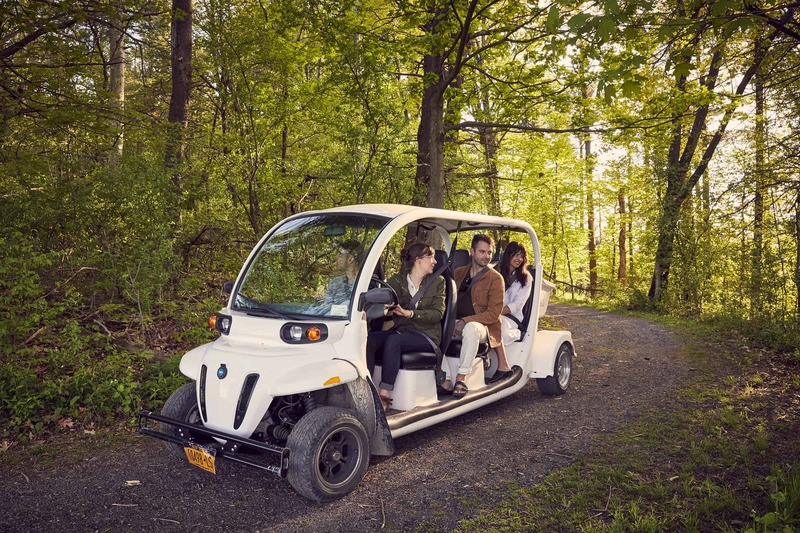 In an open-air electric vehicle, you will travel around the lake and across hillsides to see Frederic Church’s composition of architecture, agriculture, native woodlands and vast views. Frederic Church designed more than 5 miles of carriage roads to create an immersive experience for his family and guests, and this guided tour is the best way to see Olana in its entirety. Visit the lake, the historic farm complex, and Crown Hill. The tour route as-cends the wooded North Road switchback and passes Church’s original painting studio site be-fore approaching the Main House. Offered rain or shine, this participatory experience is best paired with any of the guided Artist’s House and thematic tours.